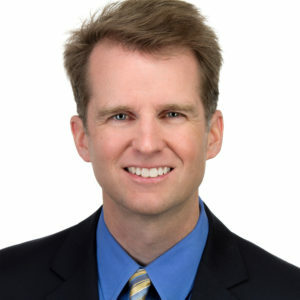 Stacy Pursell, founder and President of The Pursell Group LLC, has achieved an international reputation for excellence in executive search and recruiting and is in the top 1% of Executive Search Consultants in the United States. As a million dollar producer, Stacy entered the executive search profession after a career in television broadcasting and advertising. This experience combined with her B.A in Broadcast Journalism, provided the basis for an extraordinarily rapid rise to become one of the top producers for one of the world’s largest executive search and management recruiting firms, where Stacy was in the top 10 of search consultants worldwide. 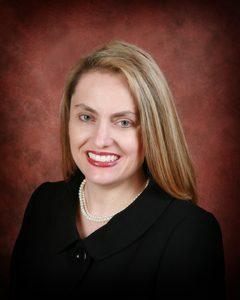 After being recognized in the top 10 search consultants for one of the largest international search firms, Stacy founded The Pursell Group LLC where she has placed hundreds of professionals in key positions including roles as President, General Manager, Chief Commercial Officer, Chief Scientific Officer, Chief Medical Officer, Chief of Staff, Vice President of Sales, Vice President of Marketing, Vice President of Regulatory Affairs, Vice President of Research and Development, Senior Director of Marketing, Director of Sales, Director of Product Development and she has filled numerous sales and marketing positions. Stacy’s portfolio is dominated by repeat assignments from her clients who have referred her to other prestigious organizations. She has been invited to speak in front of professionals about their careers including at the American Veterinary Medical Association Conference. Stacy uniquely combines a reputation for quality, volume, service and dedication that cannot be matched by other executive search professionals in the industries she serves. Stacy has been invited to train for Next Level Recruiting Training, the leading Recruiting Training Firm in the United States. She has been quoted by CNN, Money Magazine, US News and the American Animal Hospital Association. Stacy has served on the board of the National Association of Personnel Services (NAPS) and is a preferred member of Top Echelon. Stacy is a Certified Personnel Consultant (CPC), a member of an elite group of search professionals who have passed this challenging exam to show we are committed to the advancement of professional and ethical standards and to the quality of the work performed in the Search Profession. Stacy is a Certified Employee Retention Specialist (CERS) a member of an elite group of about 30 search professionals who currently hold this active certification and have passed this challenging exam. Finding and retaining employees is the #1 concern of employers in today’s marketplace and this certification will help our clients become better at retaining their employees in order for them to have a competitive advantage in the marketplace. Darrell Pursell is an Executive Search Consultant, Recruiter, and Chief Operating Officer for The Pursell Group. Darrell helps client companies identify the most suitable talent for their hiring needs. Client companies range from Fortune 100 to midsize and start-up ventures. Darrell works with both for-profit and not-for-profit organizations. Clients are diverse and include pharmaceutical, biotechnology, medical device companies, nutraceutical and pet food companies, companies involved with food safety diagnostics, pathogen control, animal safety, diagnostics, capital equipment, Animal Health Industry suppliers, feed ingredient and feed manufacturers, distribution companies, genomics companies and emerging technology development companies. He has diverse industry experience including animal health, veterinary, pet products, telecom, software, energy, manufacturing, health-care, financial institutions, nonprofit organizations and higher education.